Josh Altman is an American real estate agent, investor, reality television personality and author. He is best known for his appearance on Bravo TV’s hit series, Million Dollar Listing. Josh Altman has sold over $3 billion worth of real estate mostly in the luxury neighbourhoods of Los Angeles. It’s been long he was recognized by the Wall Street Journal as one of the world’s top real estate agents. Having an estimated net worth of $10 million, Josh works in partnership with his brother Matt for their real estate firm, Altman Brothers at the brokerage Hilton & Hyland. 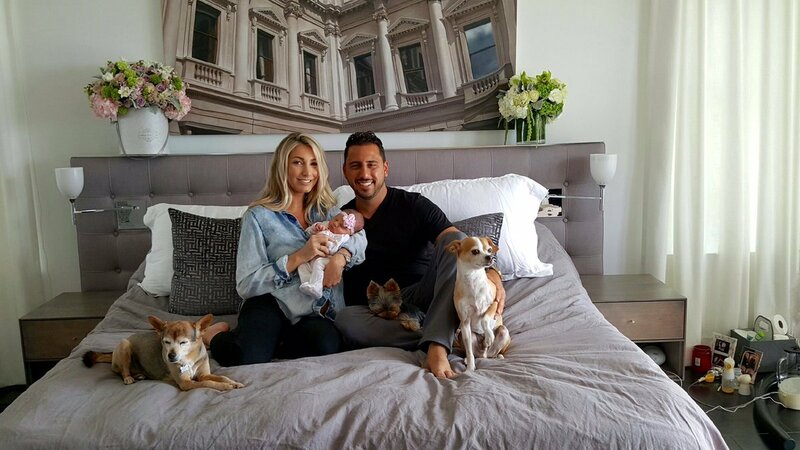 Josh Altman was born to his parents, Judith and Alan Altman on the 10th day of March 1979 in Newton, Massachusetts. Born into a Jewish family, Josh is of American nationality and belongs to the Israeli-American ethnicity. He has a sibling named Matt Altman with whom he started a real estate firm called The Altman Brothers. After graduating from Newton South High School in 1997, Altman went on to earn a Speech Communications degree from Syracuse University. With interest in real estate, Altman moved to Los Angeles and began investing and flipping residential apartments. This he did for the first three years under his self-established finance real estate company before joining forces with his brother to establish Altman Brothers. Their property flipping business immediately became successful and at the age of 26 in 2005, Josh has already made his first $1 million. However, just as quickly, he lost it all in one bad investment. After a highly successful sale for which they made $200,000 in profit, the brothers began rolling the money into bigger properties they couldn’t afford. The loss left him in a wreck. Josh thought that he’d never be able to restore his millionaire status. However, in the midst of the doubt, the brothers kept pushing on. If anything, Josh learned not to buy the things that he couldn’t afford. The brothers started their restoration journey by joining brokerage firm Hilton & Hyland in 2006. Soon Josh was back to winning ways, representing high net worth individuals from pro athletes to TV stars, and even international clients. He focused on luxury properties in LA’s high-end neighbourhood including Sunset Strip, Hollywood Hills, Beverly Hills, Holmby Hills, and Bel Air. In 2010 and 2011, The Altman brothers respectively sold $40 million and $60 million worth of real estate properties. In 2011, Josh made his debut on hit Bravo show – Million Dollar Listing Los Angeles. Though his brother Matt wasn’t cast on the show, he proved to be an important factor in most of the lucrative deals they closed. The Million Dollar Listing show follows three young real estate agents in Los Angeles as they sell high-end homes. In order not to repeat the mistake of investing himself into penury, Josh revealed that once he gets the paycheck he takes half of it and put it into a separate account that he cannot touch. By 2013, Josh Altman and his brother, according to the Wall Street Journal, had sold $200 million worth of properties with an average of $40 million annual sales. Some of his most iconic sales, among others, include a $10.5 million apartment in Ocean Drive which went down in history as the most expensive single apartment ever sold in Santa Monica; a one-bedroom apartment sold for $20.1 million which equally became the most expensive one-bedroom apartment in history. He made a profit of $1 million flipping a single property in 2014. Dubbed “The Key To The City”, Josh Altman has access to over $1 billion worth of properties in Los Angeles. He has sold more houses to celebrities than any other real estate agent. He sold Kim Kardashian and Kanye West their mansion in Bel Air for $11 million back in 2013. Kimye reportedly spent an additional $2 million on renovations. He sold Tyler Perry‘s house, the same day the multi-millionaire filmmaker contacted him. Josh met fellow real estate agent, Heather Bilyeu on MDLLA. The pair got engaged in 2013 and married in a Jewish wedding at St. Regis Aspen, Colorado, in 2016. Altman and Bilyeu were originally set to be married in 2014 but decided to postpone due to hectic schedules. The Real Estate agents exchanged vows in front of 80 family members and friends. Sometime in April 2017, they welcomed a baby girl and named her Alexis Kerry Altman. Josh and his wife live in their beautiful dream house – a 5500 square feet mansion with a fantastic pool and view. Josh has worked as a consultant for The Wall Street Journal and the Boston Herald. His first book titled It’s Your Move was published in 2015. In the book, Josh revealed his trade secrets and offered aspiring entrepreneurs tips that would help them outsmart their competitors. The book has severally been praised as one which inspires people, handing them the audacity to take risks that will help them succeed at work and in all their endeavours.